Designing is an intimate, intricate, and intense activity. Some designers build their design from scratch. Others use resources to help them achieve their goal. You can identify with the former, the latter or both. But regardless of which type you are, having design resources at your disposal is smart. Access to design materials can help you create new and related ideas to your initial concept. They can add depth and meaning to what you’re trying to achieve. They can help your design stand out from the rest. So how do you go about accessing design resources? 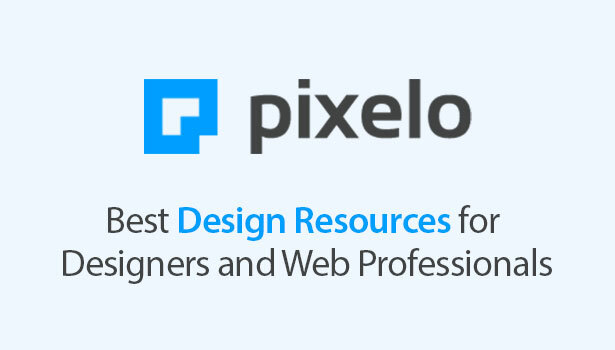 One highly-recommended resource from both professional and amateur designers is Pixelo.net. Pixelo.net is arguably the leading resource of economically-priced design assets. The website offers special bundles that generally include graphics, fonts, and visual elements. The bundles are sorted according to themes so it’s easy to see which deals will be useful for the project you have on hand. Pixelo is a haven for graphic, web designers, artists and just about any kind of creative. Aside from the premium deals available, there are also freebies up for grabs. The design materials on the site are created by designers from all over the world. That means each asset is made by a designer for a designer. That link, that connection to each other’s art, is evident in every Pixelo bundle. Everything that is available on Pixelo is exclusively curated by a special team of creatives. Through this curation process, Pixelo helps designers and users save time and energy. These are resources that are critical in the fast-paced digital world. There are tons of design resources online. What makes Pixelo.net different from the rest is its special deals. You get curated design materials for a bargain. And by “bargain,” we mean up to 95% off! And the best thing is that Pixelo is a “one-time purchase” kind of platform. Once you buy a bundle, you can download it over and over and again. You can access the bundle’s download link in your account any time you want. At Pixelo, every bundle and set you get is meticulously curated. They are unique selections handpicked with a purpose in mind. 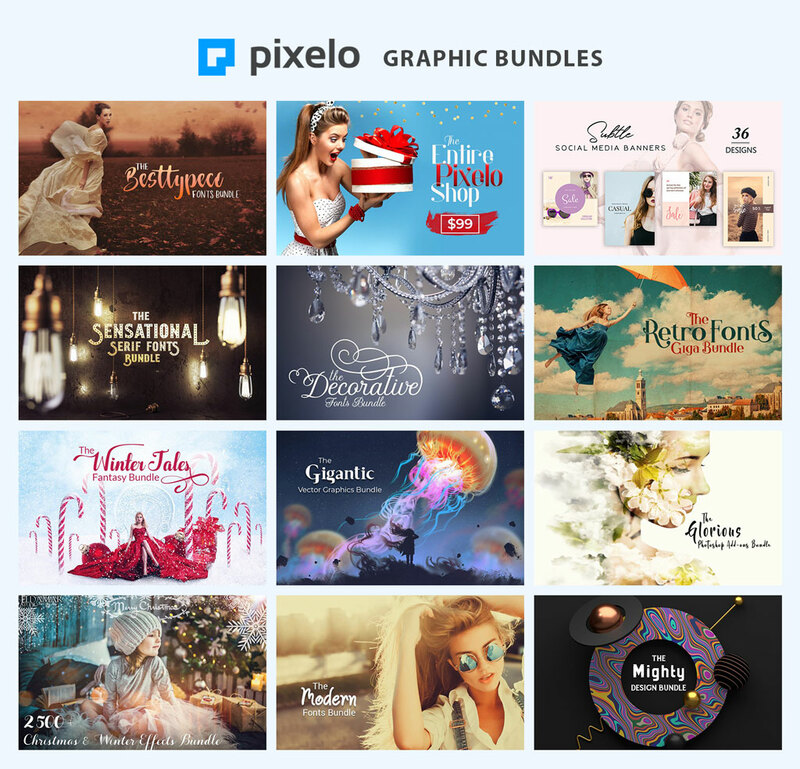 Pixelo curated bundles are grouped according to themes, patterns, concepts, visuals, and materials. This makes it easy for designers to find and use assets that fit their desired design. Every material is industry-related, modern, unique, and innovative. This means, you can use the materials to start your own design trend. Pixelo also offers an affiliate programme for users who want to earn extra cash. It also has a dedicated blog for designers. The Pixelo blog is a hub for design-related articles and videos. Keep up with all the new trends, styles, and deals from Pixelo! Pixelo.net is known for its excellent customer service. It offers a money-back guarantee if you are dissatisfied—within reason—with your purchase. A customer support is also available 24/7. When you use a design asset from the site, your work will be under a commercial licence. Pixelo is all about making it easy for designers to achieve their desired work. This is also evident in how the site deals with copyright issues. Pixelo provides an abundance of materials that can help you make your design better. The thing you need to remember is that every bundle is only available for a limited period. So when your favourite bundle is offered, don’t waste any time purchasing it! Subscribe to Pixelo newsletter today so you won’t have to miss a single deal!